Poll: How are you enjoying the new Guard Gauge? Poll: Should Shield Block chance be removed do to GG being added? Poll: What should the next Exclusive ASAddon Be? Asgard Shield: Forge: Default Ids 24500-24512. Changeable Config file included. 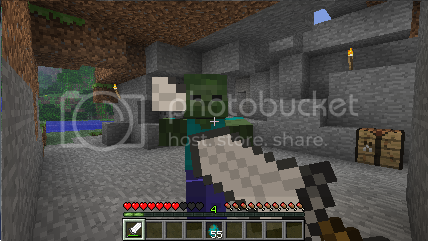 Addon: Nether-Ender: Forge: Default Ids 24513-24518. Changeable Config file included. Addon: Hallowed: Forge: Default Ids 24519-24524. Changeable Config file included. Addon: Harken Scythe: Forge: Default Ids 24525-24533. Changeable Config file included. Those who use Back Tools Mod: Please place this line of code in your mod_BackTools.cfg file found in your Config Folder. 1. Be sure Forge API is installed in your Minecraft_Server.jar "DO NO DELETE Meta Folder". Place AsgardShield_Core.zip in your Minecraft_Server/mods Folder. Asguard Shield name is inspired by the Golem from the Wild Arms Series. Whose name means to "Protect by an impenetrable wall". Zed Sword name is inspired by the Metal Demon from the first Wild Arms. He wields the massive blade "Doombringer", who at the end becomes an Protector. that is placed on their action bar. Releasing will toggle back to sword. Swords have a high priority on the right-side of Action Bar and Shields have a high priority on the Left-side of Action bar. While the shield or giant sword is raised, players will have a percent chance to block (based on type of shield equipped/ 75% with giant swords), protecting from all damage (besides fire/fall/void/suffocation/drowning). Blocked attacks will lower the shields/swords durability. If Durability reaches Zero the item will break. Each time a shield or giant sword is damaged, pieces will be broken off! Vanguard charges slowly store up over time. Once enough charge is built players can unleash "Vanguard". Vanguard: Is a special ability that blasts back all visible targets within 5 Blocks of the player and inflicts the following effects. Guard Guage Booster: Allows the GG to recover 50% of the current GG amount. The lower the GG, the more GG you gain. AoE Push: All targets are pushed away from character. Skill is enhanced by player Enchants and shield Knockback stat. Dazed: All targets movement speed is reduced to 20% for 5 seconds. Confuse: All targets are effected by confuse for 10 seconds. Shield Enchants: All current shield enchants are applied to the targets. Asgard Shield Guard Gauge System: Players will drain their Guard Gauge(GG) while guarding and recover when not guarding. If GG hits its cap, the status "Guard Break" will occur. Guard Break: While under the effect of Guard Break, players can't guard until their Guard Gauge recovers to safe zone *Which is about 70% full GG* During this time the GG will recover at a faster rate and new Icons will appear indicating the player can't guard. Basic Shield, Gilded Shield and Giant Sword GG drain rate: Depending on what type of item is being used, the GG will drain at different rates. Gilded Shields add a golden Border to the GG. Harken Scythe Support: Harken Scythe offers Asgard Shield Shields the Ward Augment. Ranks (3): 10/20/30% Chance on a successful Block while guarding to gain an extra Vanguard Charge. 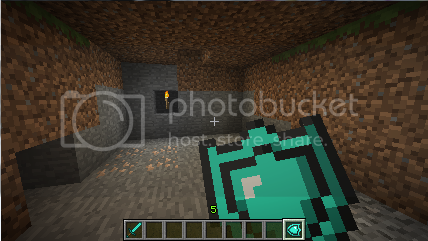 Vanguard and Guard Gauge Config: Y_Offset Options: Allow the user to move the HUD up and down per HUD Element unit (a normal displayed distance Minecraft has for its GUIs). 0 is the default. SmartMoving Exhaustion System: Asgard Shield is able to influence SmartMoving mod's"Exhaustion System". This provides a smooth compatibility between the two mods and delivers more dynamic guarding system. !!! To disable SmartMoving Exhaustion while Guarding, check your AsgardShieldConfig.txt or AsgardShield_Core.CFG!!! Highly suggest using Back Tools mod to show off the shields on players back! Asgard Shields: Four types of shields can be crafted and upgraded. ! !Gold can be used to improve stats!! Durability: Total amount of damage the shield and absorb before breaking. Damage: Total amount of damage the shield and inflict when hitting a target. Passive Armor: Total amount of damage protection while not guarding. Knockback: Total amount distance target will move away when hit by shield. Weakness: Tells what situations when to not use certain shields. Special Perk: Each shield type has their own special abilities while guarding. Wooden Shield: A light wooden shield able to block many attacks but suffers low durability. Passive Armor: 10% less damage taken. Weakness: Fire -Fire burns quickly through wood, be careful! Special Perk: Arrow Catch: 50%- On successful guard allows player to collect foes arrows! Gilded Wooden Shield: An Improved wooded shield with improved stats. Passive Armor: 15% less damage taken. Special Perk: Arrow Catch: 100%- On successful guard allows player to collect foes arrows! Stone Shield: A heavy stone shield with a high knockback and damage, but suffers low successful block chance. Weakness: Explosions -Stone breaks easily from strong overwhelming damage. Special Perk: Fire Protection: 50%- On guard to reduce damage by 100% to shield! Gilded Stone Shield: An Improved stone shield with improved stats. Passive Armor: 20% less damage taken. Special Perk: Fire Protection: 100%- On guard to reduce damage by 100% to shield! Iron Shield: A thick iron shield boasting balanced stats and explosion protection. Weakness: Water -Iron begins to rust in water Increasing durability damage taken. Special Perk: Unmovable Object: 50%- Less explosion durability damage when guarding. Gilded Iron Shield: An Improved iron shield with improved stats. Passive Armor: 25% less damage taken. Weakness: Water -Iron begins to rust in water. Increases Durability damage taken. Special Perk: Unmovable Object: 100%- Less explosion durability damage when guarding. Diamond Shield: A polished diamond shield supreme durability and successful block chance. Weakness: Displace -Reflected damage also damages durability. Gilded Diamond Shield: An Improved diamond shield with improved stats. Passive Armor: 30% less damage taken. [2.1] Zed Swords: Five types of giant swords can be crafted. !! Able to Guard attacks however no Vanguard ability !! Knockback: Total amount distance target will move away when hit by giant sword. Wooden Giant Sword: A massive sword made from wood, cheap to make but suffers low durability. Iron Giant Sword: A strong sword forged from iron, offers great passive protection. Golden Giant Sword: A poor mans dream sword, lacking stats but great enchantability. 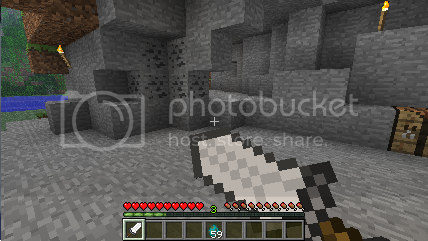 Diamond Giant Sword: A highly sharp and enduring blade of diamonds, highest stats. [+] Addons: New tiers of equipment can be crafted using materials supported by other mods. [Nether-Ender]: Two new tiers of shields and giant swords can be crafted, upgraded and enchanted. Weakness: Hungering -The living mass feeds on the wielder, drains hunger gauge. Special Perk: Flame Keeper: 50%- On successful guard allows player to collect flames from fire sources! Gilded Nether Shield: An Improved nether shield with improved stats. Special Perk: Flame Keeper: 100%- On successful guard allows player to collect flames from fire sources! 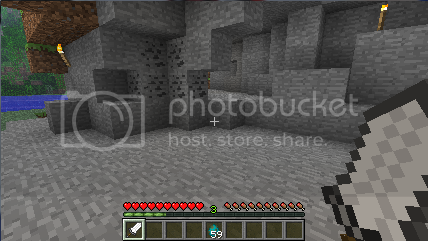 Weakness: End Tech -Ender folk can bypass through guard (Enderman and Ender Dragon). Special Perk: Ender Shift: 20%- On successful guard teleports attacker away from player. Gilded Ender Shield: An Improved ender shield with improved stats. Special Perk: Ender Shift: 40%- On successful guard teleports attacker away from player. [Hallowed]: Two new tiers of shields and giant swords can be crafted, upgraded and enchanted. A shield crafted from skull and bones. Weakness: Brittle Bones -10%- On Successful guard to receive x3 durability damage. Gilded Skull Shield: An Improved skull shield with improved stats. Weakness: Foulness -5%- On successful guard effects player with nausea. Special Perk: Foulness: 10%- On successful guard effects attacker with nausea. Gilded Patchwork Shield: An Improved patchwork shield with improved stats. Special Perk: Foulness: 20%- On successful guard effects attacker with nausea. A sword crafted from skull and bones. [HarkenScythe]: A 3 new tiers of shields and giant swords can be crafted, upgraded and enchanted. Livingmetal Shield: A self repairing shield made from Iron and Souls. Weakness: Souleater -Uses Soulkeeper charges to activate Matrix barrier. Cost 1 charge. Special Perk: Matrix: 10%- On successful guard to activate a defensive barrier around the player, absorbs up to 20 damage. Gilded Livingmetal Shield: An Improved livingmetal shield with improved stats. Special Perk: Matrix: 10%- On successful guard to activate a defensive barrier around the player, absorbs up to 30 damage. Spectral Shield (Lunar): A very light, obscured, shape-changing shield. Weakness: Daylight -Shield will deactivate during the day time. Special Perk: Phase: 10%- On successful guard turns player invisible and clouds attacking targets sight. Gilded Spectral Shield (Lunar): An Improved spectral shield (Lunar) with improved stats. Special Perk: Phase: 20%- On successful guard turns player invisible and clouds attacking targets sight. Spectral Shield (Solar): A very light, obscured, shape-changing shield. Weakness: Nightfall -Shield will deactivate during the night. Livingmetal Giant Sword: A self repairing giant sword made from Iron and Souls. Spectral Giant Sword (Lunar): A very light obscured sword. Spectral Giant Sword (Solar): A very light obscured sword. 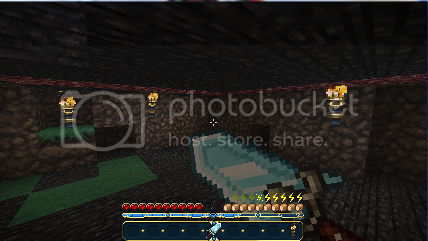 Asgard Shield is fully SSP and SMP Compatible. Be sure both Client and Server AsgardShieldConfig.txt have the same Item.ID vaules. 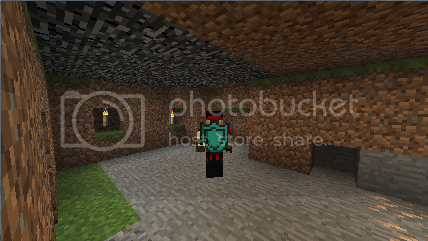 As Minecraft continues to shape and grow with new content so will Asgard Shield. New features will be release down the road as coding permits. BalkondeurAlpha: For a temp solution to Knockbacks. Divisor: Working together to make SmartMoving Exhaustion Interfaceable with all mods. 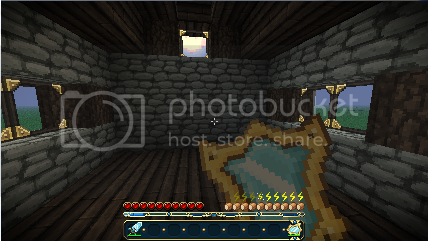 1.5.2 Asgard Shield_Core 2.0.4 Released: Added Knockback enchantment effects. 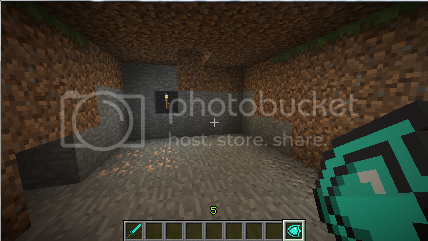 1.5.2 Asgard Shield_Core 2.0.3 and all ASAddons updated for Minecraft 1.5.2. 1.5.1 Asgard Shield_Core 1.1.6 and ASAddon Harken Scythe 2,0,6 Released. Livingmetal and Biomass Update. 1.4.7 AsgardShield_Core and ASAddons Released: 1.4.7 Updates for all, Added a HUD config options. 1.4.6 AsgardShield_Core and ASAddons Released: 1.4.6 Updates for all. 1.4.5 AsgardShield_CoreV1.1.3 Released(Forge): Guard Gauge Adjustments. -GG is now only visible while player is guarding or when gg is not full. Do not redistribute any form of this mod with other download links. 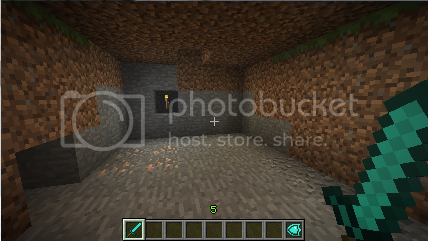 Any shared links must be from the Official download addresses found on "http://www.minecraft... asgard shield". All unauthorized links will be reported! I'll Mod Spotlight this soon, and by soon I mean tomorrow probably. EDIT: After a very long time, I decided that I'd make a spotlight. So here you go! PS: Don't forget to hit that Subscribe button down there to see more awesome videos in the future! Subscribe to FlamingHotGaming for Minecraft, League of Legends, Assassin's Creed, AND MUCH MORE TO COME! Ahh Jade, great to see you back in business with this. I was actually going to do a very similar mechanic for the 1.3 "shield mod" I was going to do (soon as though I can't do battlegear anymore). Good luck wit the mod, and feel free to PM me with any further questions. This looks quite similar to 'Mine & Blades' mod. DUDE! I loved Wild Arms. You should do a full WA Mod! I'd love to have the tech and the spells from that in MC. I only played #1, how many did they end up doing? They went up to 5 with one spinoff game for the psp, and a great remake of the first Wild Arms by Agetec. (Wild Arms: Alter Code F) <-- Highly suggest playing 7 total and waiting for another, not enough western based RPGs. Honestly Asgard Shield mod (Old version) and Nerd-boy Shields mod (Old Version) came out the same time XD (around Jan. 2012). I do love Nerd-boy's work, but its not SMP T_T. So I am Overhauling/finishing Asgard Shield for players and servers of the like. NEWS: Asgard Shield is 80% Complete interfacing with SmartMoving Mod. *This will be optional in the config file: "Enable SmartMovingGuard"* ! !May include Exhaustion system to Sword Parry too, based on feedback!! Players without SmartMoving Mod will have Asgard Shield functions as normal. Since this is a standalone mod. So wait, Wild Arms: Alter Code F is the release of the first version? (Just looked on Wikipedia... OOOOH COOL!) Shite... School's starting again soon, I wish I hadda heard of this earleir this summer. Yes... Create the ARMS! Muahahaha. Twin orbs was always my favourite one. Awesome to hear about the Smart Moving compatibility as well. Actually, I'm trying to get some people together to make a mod that will allow you to (eventually) build your own mechs using gears, motors and other mechanical things like that. If it gets off the ground one day you might be able to build your own Asgard in MC. http://www.minecraftforum.net/topic/1427527-bethemacs-mod-attack-super-spawner-ai-minecraft-real-time-strategy-mechanical-systems-nests/#entry17349581 it's possibly something you might be interested in. Update: 08/20/12: 1.3.1 Asgard Shield v1.0.1 Released- SmartMoving Exhaustion System Support. Check under the [Guarding Mechanics] for a complete breakdown of this new interfaced system. News: Vanguard System is nearly complete, last details have come down to this. A: Vanguard: (Action)- Should use exp to activate, allowing the skill to be used whenever the player needs it. B: Vanguard: (Action)- Should use charges to activate, charges are built while player Guards agaisn't incoming damage. C: Post your suggestions. likes/dislikes. Why do people always jump to the conclusion that something fishy is going on? Both Jade and I released shield mods within days of each other, since then I continued developing which ended up turning into battlegear. Jade stopped developing until now and picked it up again. In fact I have been trying (and possibly failing at) helping with a few problems he was having. He has done a great job and shouldn't have to put up with people insinuating that he stole the mod. Glad you like it, and nice suggestions (however I never went into rendering). Mind posting your Zelda Shields? I'll place them as a texture pack-Credit will be yours. This should be put on the front page, 'cause no one reads back, and it should be made clear so this forum isn't flooded with "duh, you stole dis.. You bad" all the bloody time. Love the Vanguard idea. I'm leaning towards the charges build up method myself although the exp sounds like it would have its advantages. Decent review, you should show off all the Special Perks in action also test the shields weaknesses. NEWS: Next update will feature quite a few more features. -And a special surprise to those that enjoy *heavy lifting* --> B.A.S <-- hint. Is a great mod, but I think it would be better if you added dual wielding. This is a pretty cool and well done mod, but I just can't ever get past how awkward it looks and feels to use the shields and how stat-based it is. I prefer a simple shield mod that lets me wield and use a simple shield in my character's left hand. I'm still working on the textures at the moment, the stone shields are not done yet either. Any suggestions for them? I don't think any Zelda shield really fits stone. Why not something that is Goron influenced. They live, eat, and well mostly are stone XD. Plus think of it this way.... if you broke the shields down into Zelda style..
Stone = Fire Shield (since its fire resistance is so high). Speaking of Mirror, has anyone played around yet with Reflecting stuff? 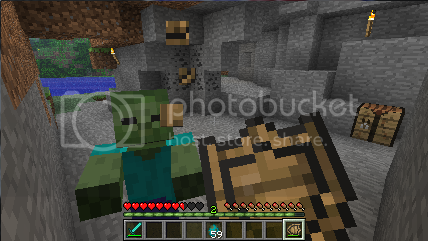 I have a blast firing skeley arrows back at themselves and other mobs. The arrow that is reflected aims with your crossheir.